Two weeks ago, Dr. Stephen Noll published “TAKING SWEET COUNSEL TOGETHER”: Lambeth Edition. 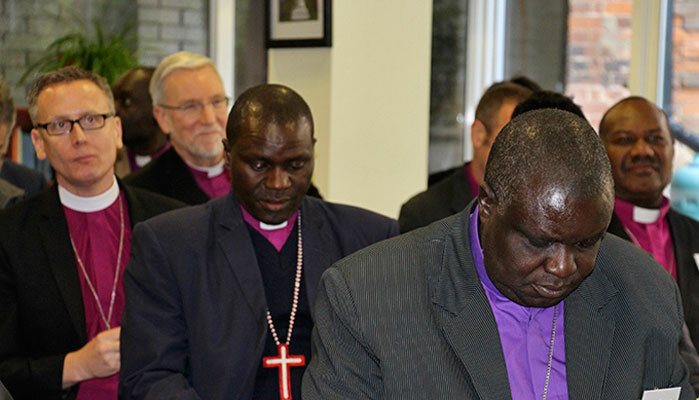 “I believe that there may yet be some Biblically faithful Bishops in the Anglican Communion who intend to go to the Lambeth Conference of Bishops in 2020 to object to false teaching and make a witness to the truth of the Gospel. I have listened to Bishops – especially those newly consecrated who have not attended these Communion wide meetings – who sincerely believe that they can make a difference by taking a stand at these gatherings which are organized and directed by Canterbury, with ‘minders’ from the Anglican Communion Office already assigned to these faithful bishops who intend to come, and with generous funding by The Episcopal Church and others who promote the very teaching contrary to the Gospel that we see pictured above. A Crisis in Koinonia: Biblical Perspectives for Anglicans – Canon David Short (published here 2004). Keep Up or Die? : A Church that Won’t Hold a Heresy Trial isn’t Really a Church – Dr. Albert Mohler (on the United Church of Canada).